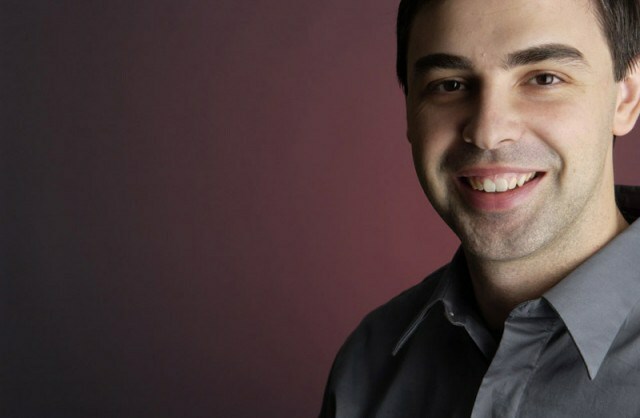 “I worry that something has gone seriously wrong with the way we run companies,” warns Google’s CEO, Larry Page, about companies who focus on the competition. “How exciting is it to come to work if the best you can do is trounce some other company that does roughly the same thing? That’s why most companies decay slowly over time.” Page’s fascinating interview with Wired is a comprehensive look at why Google spends millions on moonshot innovations, encourages all of its employees to innovate, and how the media may have created a false narrative for the tech industry. “I worry that something has gone seriously wrong with the way we run companies. If you read the media coverage of our company, or of the technology industry in general, it’s always about the competition. The stories are written as if they are covering a sporting event. But it’s hard to find actual examples of really amazing things that happened solely due to competition. How exciting is it to come to work if the best you can do is trounce some other company that does roughly the same thing? That’s why most companies decay slowly over time. They tend to do approximately what they did before, with a few minor changes. It’s natural for people to want to work on things that they know aren’t going to fail. But incremental improvement is guaranteed to be obsolete over time. Especially in technology, where you know there’s going to be non-incremental change. The opening shot set up Page to justify Google’s “crazy” R&D investments like driver-less cars and Google Glass. Critics could call Google a bald-faced hypocrite: Google has refused to develop their coveted maps software for Windows 8 mobile (citing lack of users) and had a very public kerfuffle with Twitter, which resulted in Google no longer searching realtime public tweets. And, this all overlooks the multi-million dollar intellectual property battles between tech giants. Google may, at times, fail at its own philosophy, but that doesn’t mean it’s not genuinely a radical optimist at heart. It’s hard to deny that Google (and other tech companies) have dedicated a significant chunk of their resources to innovating in a sandbox of their own. The automotive, fashion, or restaurant industries don’t even come close to their pursuit of creating new markets and world-changing products.